Journalists wearing black ribbons marched Thursday through Tijuana's streets, remembering a slain crusading editor and demanding an end to violence against those who report the news. Francisco Ortiz from the Zeta newspaper was gunned down Tuesday as he sat in his car with his two youngest children, who were uninjured in the shooting. It was the third attack against a leading figure at the weekly since 1988. 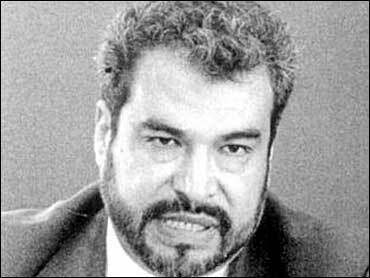 Gunmen killed the newspaper's co-founder, Hector Felix Miranda in April 1988. Assailants with machine guns tried to slay co-founder and publisher Jesus Blancornelas in 1997, wounding him and killing one of his bodyguards. Both previous attacks are widely believed to have been revenge for articles published in the weekly, which has exposed druglords and corrupt politicians. Police had not yet discovered a motive or made arrests in Ortiz's death. He was to be buried later Thursday. The slaying was condemned by international and local associations of journalists, who demanded that authorities do more to prevent such attacks. Several dozen journalists wearing black ribbons and waving white flags of nonviolence marched five blocks Thursday from the federal attorney general's office in Tijuana to the state prosecutor's office. At the end of the march, the crowd held a moment of silence, followed by a round of applause in Ortiz's honor. Catcalls met Baja California state Attorney General Antonio Martinez Luna when he came out to meet the marchers and tell them the slaying was under investigation. "When they attack one of us, they attack all of us," said Rafael Morales, vice president of the Association of Tijuana Journalists. "Enough already. It isn't fair that journalists' have to pay with blood for the work of their pen or their camera." Abraham Dominguez, president of the Cartoonists' Society in Tijuana, said journalism was risky. "We are always ready to lose our lives, but it shouldn't be that way." Stuart Wilk, president of the Associated Press Managing Editors Association and vice president and associate editor of The Dallas Morning News, said the slaying "shocks and saddens journalists everywhere." "We applaud Mr. Ortiz Franco's crusading work, and we call for the most vigorous possible investigation and prosecution of those responsible for his tragic murder," he said in a statement. Speaking to newspaper editors on Thursday, President Vicente Fox said his administration would work with state officials to find those responsible for the killing. "It is urgent that we take action, and with force," he said. Zeta's employees have declined to talk to the media. Threats, intimidation and violence against journalists are nothing new along the U.S.-Mexico border. Roberto Javier Mora Garcia, executive editor of El Manana newspaper in Nuevo Laredo, across from Laredo, Texas, was found stabbed more than 25 times outside his home in March. Mora often published front-page stories on the Gulf drug cartel.